Grant Hansen and Neil McElroy. 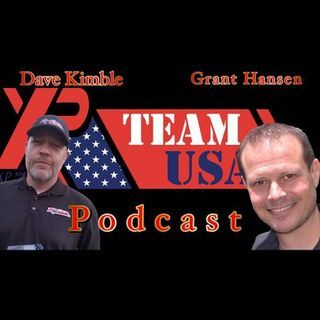 On this show we talk with one of our own XP Team USA Field Reps Grant Hansen, about his trips to Europe and some of his great finds in New Jersey. We also talk with Neil McElroy about his knowledge and collection of dog tags. Join us and subscribe. Call our hotline to leave a message or question to be played on the show at (405)294-3602. Great show guys. I shared the link on our Relics Radio Facebook group page. Keep up the good work. I'm signing off guys. Thanks for listening and commenting! Really? Most I have found are plain. That's cool. i got a couple early 1900's dog tags . Great job with the scouts Grant! HAHA. We all know your voice Josh.